From my polyvore, go there to check out details of stuff featured here because I'm too tired and lazy to link ok? Yet another wishlist! I just had a massive clearout of my wardrobe (chucked the majority of it on Ebay, check it out here, most of it starts at 99p. And no, I did not choose my Ebay name my hilarious brother set it up for me) Now I can see where there are a few gaps in my basics collection but overall I'm really happy with what I have. I really want a perfect black, wool skirt, I lost out on the skirt of dreams by Cos on Ebay at the weekend and was pretty gutted, I'm so rubbish at bidding! It had pockets and everything :'( I'm just gonna have to keep looking. I could also do with a white shirt, I have a linen one that's perfect with blue denim in the summer but I'd like a more structured one to wear under sweaters right now. The other things aren't really needed but I just want! I used to wear cardigans all the time but now not so much, however recently I've been getting a lot of wear out of my black merino wool one and would like a chunky grey one just to throw on over simple tees with the sleeves rolled up a little. This shade of green has also been on my mind for a long time, I think it's one of the few colours that looks good with black and I think it looks awesome with red lips or nails. Plus it matches my hair! A striped tee because although I own lots of long sleeved bretons I have no short sleeved ones which kind of seems wrong. Then finally a Beadnell Barbour jacket in navy which has been on my wishlist forever, hopefully at some point I'll eventually invest in one. I have a Winterforce Parka thing by Barbour in olive and it's a godsend when the weather is cold and rainy so I know that Barbours are 100% worth the money. But first I need monies (so remember my Ebay *hinthint*) Don't you hate it when you're still poor on payday? It's completely my fault though, I definitely did that 'One for them, one for me' thing when I was Christmas shopping! I don't think I own one plain white shirt which is crazy! I really need to stock up on basics/classics and whenever I read your posts I'm really inspired, then I spot a floral MinkPink kimono and it's in my wardrobe before you can say next day delivery. Argh! I didn't realise how necessary a short sleeved breton top was until I actually bought one on a whim, now I couldn't imagine being without it! And ohh a Barbour parka, how I'd love one! However you remind me that when I get paid it should go on some of the basics I so desperately need. You definitely inspire me to build my wardrobe from the basics up for once, I tend to want to spend my money on pretty flashy things instead of the basics. Love all of these basics! Still to this day I own nothing striped.. I need to pick up a top like the one above! Thats a great idea putting it all up on Ebay, I really need a chic white shirt like this one and a striped tee is always required in ones closet. I love that skirt! Will have a look at your ebay! Ooh I love that striped tee! Can't believe I don't own one yet... crazy right?! I hear you on the money sitch... at the moment I feel as though I'm just as broke now as I was when I wasn't working.. madness!! Damn weekly payslips! That skirt is a lovely shape, I really like it! I'm sick of being poor on payday, I'm still suffering the effects of paying for Christmas and my sister's wedding. Totally worth the money, but I'm bored of being poor now. I am however gonna check out your ebay, you have some great style girl! Stunning sweetie! I love all your picks! 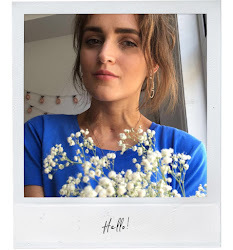 You have such a beautiful blog! The wishlist is gorgeous perfect for this weather! Good set of wardrobe staples there, you can easily mix and match them.